As with other payments received, the designated Contact/s (maintained under Organisation Settings > Payment Settings) will be notified when Orders are placed in the Shop. To get to an Order's details, click on "View all payments" in the email received or go to Shop > Orders. The details of the Order can be accessed by clicking the Order Number. This will display the buyer's information, shipping details and products bought. 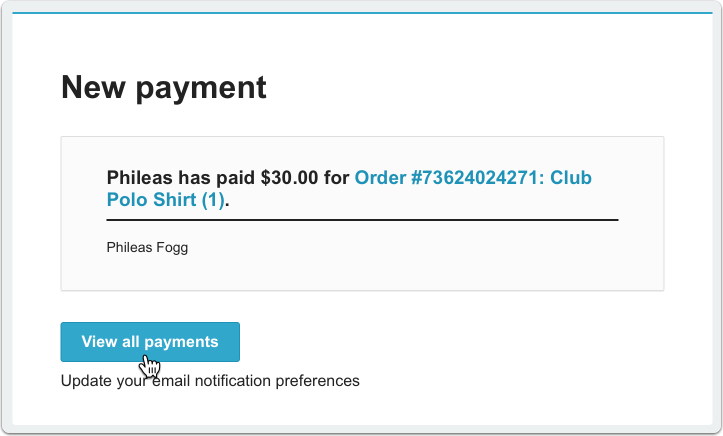 Using the Print Order button a PDF of the order can also be generated for sending on or printing. When you select "Mark as Complete", you'll have the option to send an email to the buyer (which can be edited to include your own message), as well as include a Tracking Number (if required - for postage such as Express or Registered Post). 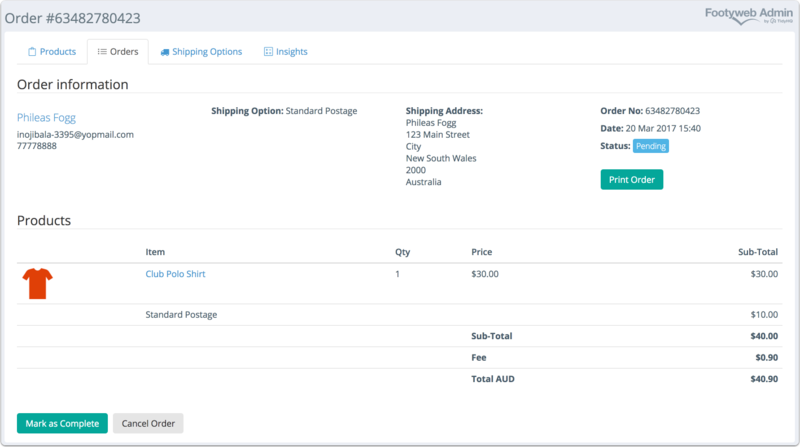 When you select "Mark as Complete" (or "Mark as Complete and Email Customer" if the "Email shipping details to customer" is checked), the Status of the Order will change to "Complete".